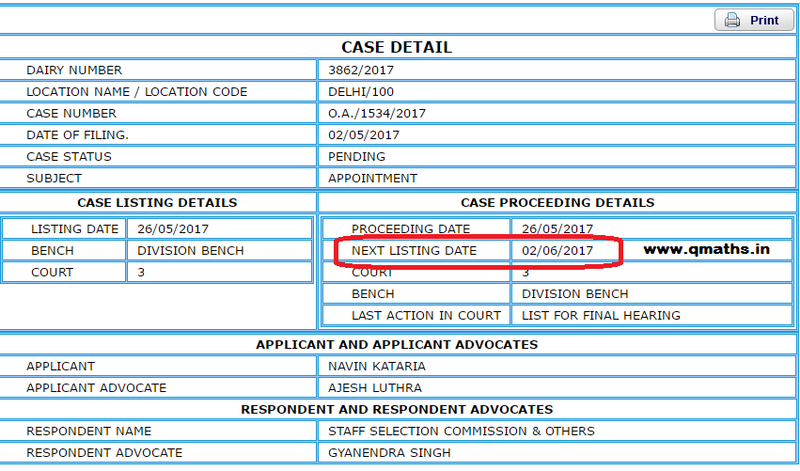 Today (26-05-2017) there was hearing of SSC CHSL 2015 Court Case in CAT. But there was no verdict. The case has been Listed for Next/Final Hearing dated 02-06-2017.